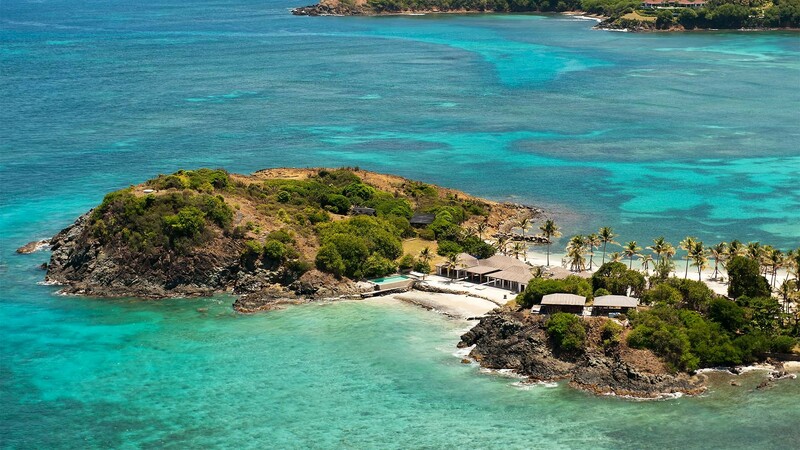 Arriving in Mustique is a fairly eye-opening experience. 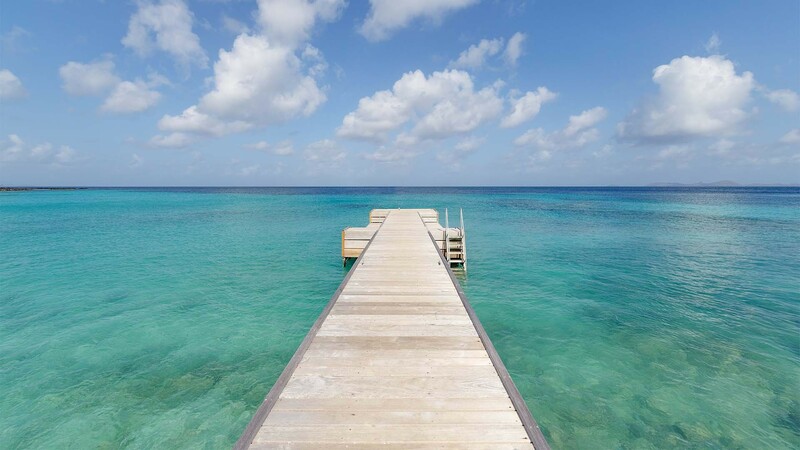 Aboard the twin-prop island hopper from St Lucia, the tropical paradise suddenly appears – an oasis amid the infinite ocean. 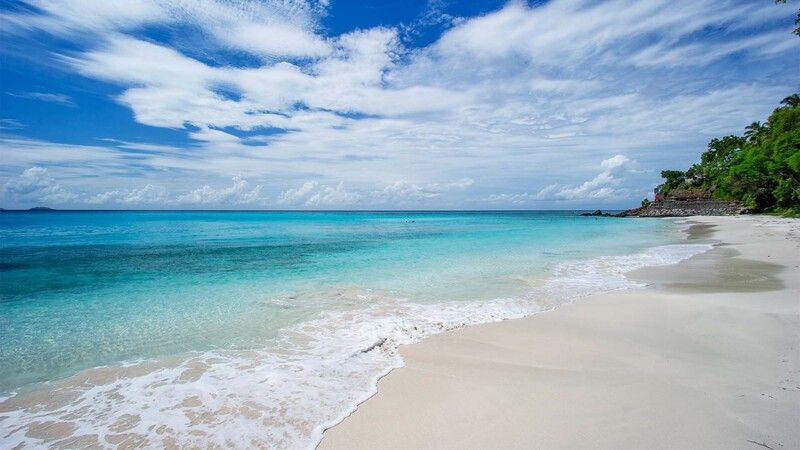 Navy gives way to the neon blues of shallow waters kissing coral beaches. Vivid palm green is surrounded by a turquoise halo. 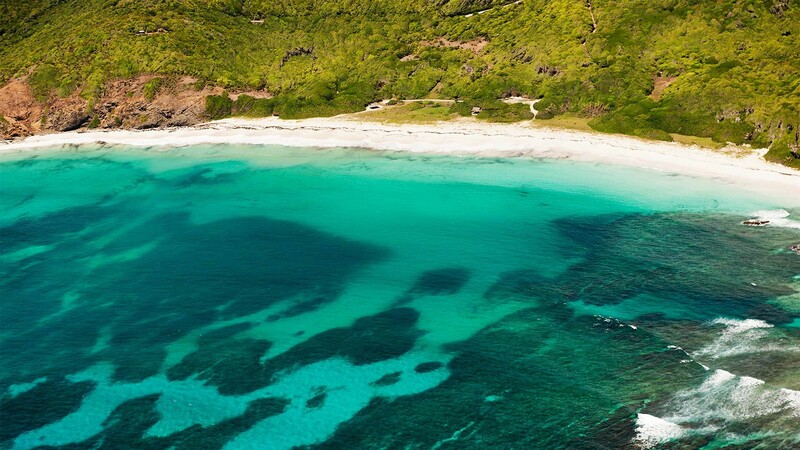 I can just about taste the first sip of a rum cocktail, when suddenly the plane lurches downwards at an ungodly angle hurtling towards what appears to be the world’s shortest airstrip. At the last minute the nose pulls up and the wheels squeal beneath us in a mocking glee. 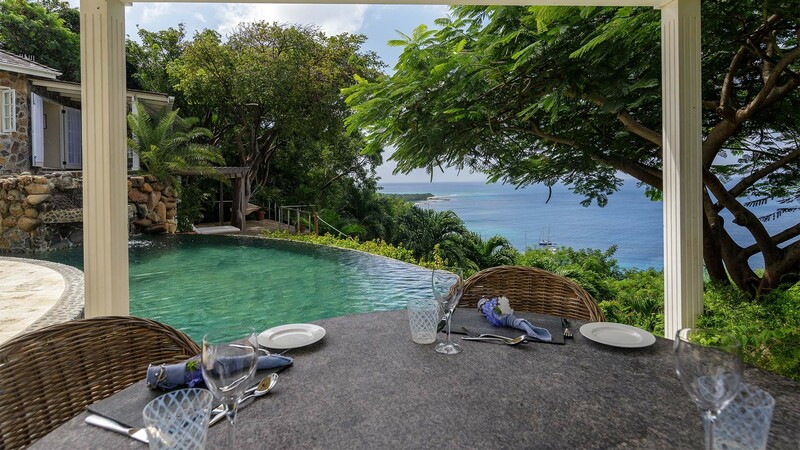 This is where the stress begins and ends on a stay in Mustique. 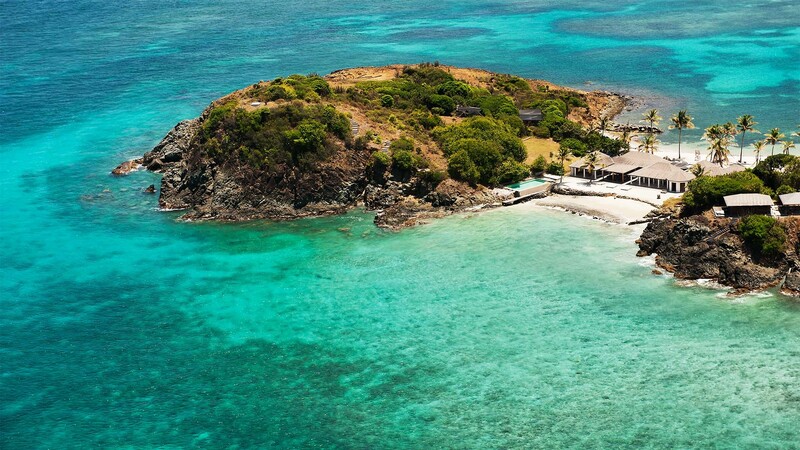 This year is a special one for the private island – run by the Mustique Company – as it’s celebrating its 50th anniversary. 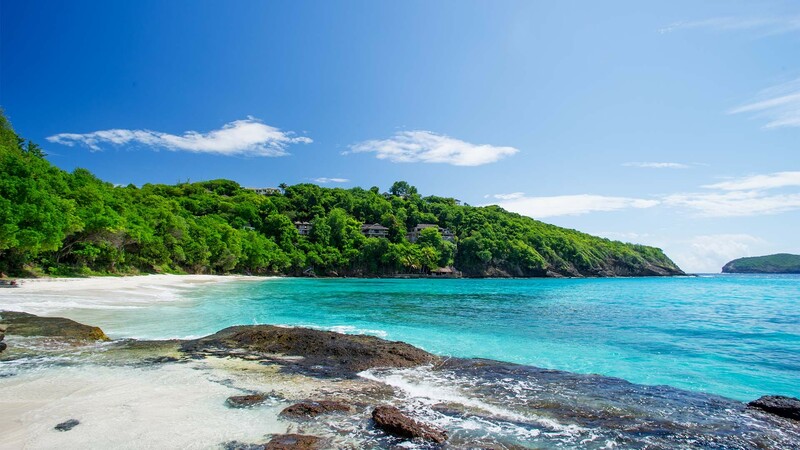 In 1958, Colin Tennant aka the 3rd Lord Glenconner bought the island for just £45,000. It was uninhabited scrubland – there was not a sole apart from the mosquitos (‘moustique’ is French for mosquito). 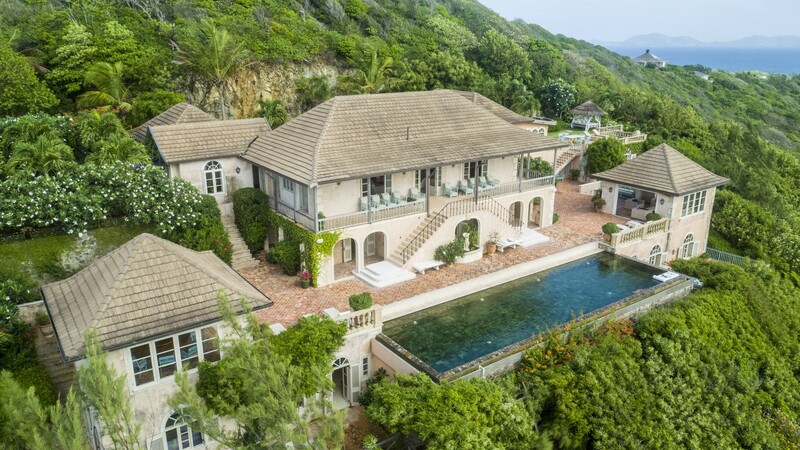 But Tennant had a vision: to make Mustique into a millionaires’ playground, a paradise for the monied and marvellous. 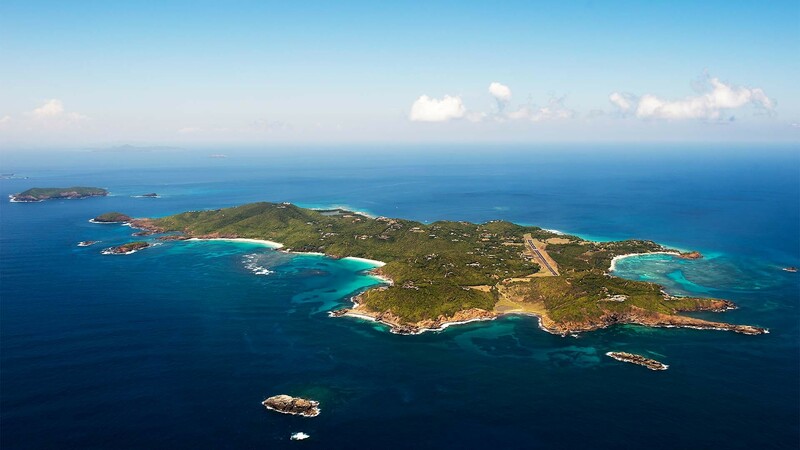 Less than a year after Tennant bought the island, his friend Princess Margaret became engaged to Anthony Armstrong-Jones, Lord Snowdon. To celebrate the engagement, Tennant asked her if she would like a gift in a box or prefer a ten-acre piece of land on his new island. She chose the latter. During the couple’s honeymoon in 1960, she rocked up on the Royal Yacht Britannia to claim her plot. At this stage there was just one road and few more dwellings. The sunshine and the solace were an intoxicating proposition, though. 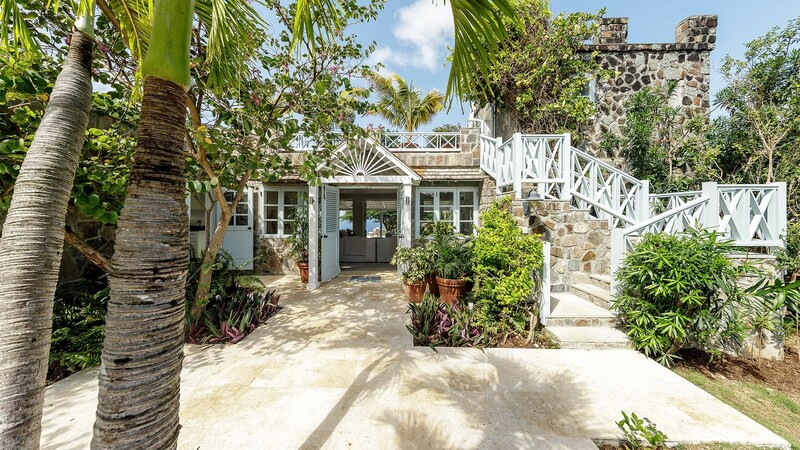 After Tennant, the Princess became the first official homeowner on the island. 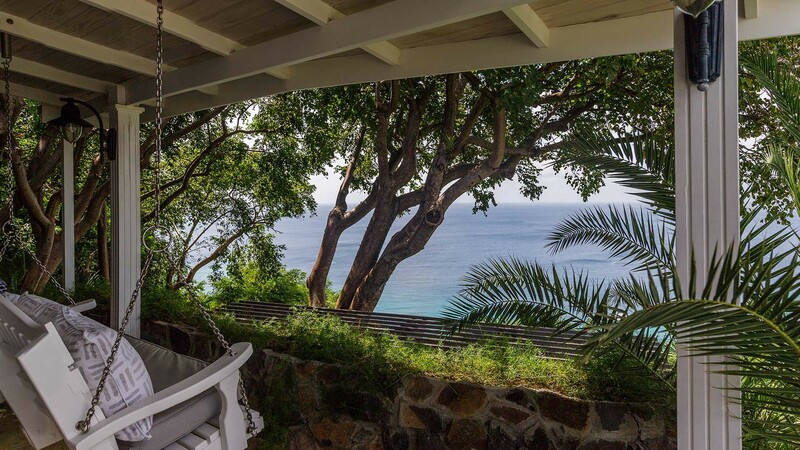 In 1968, he formed the Mustique Company to develop and administer the island. 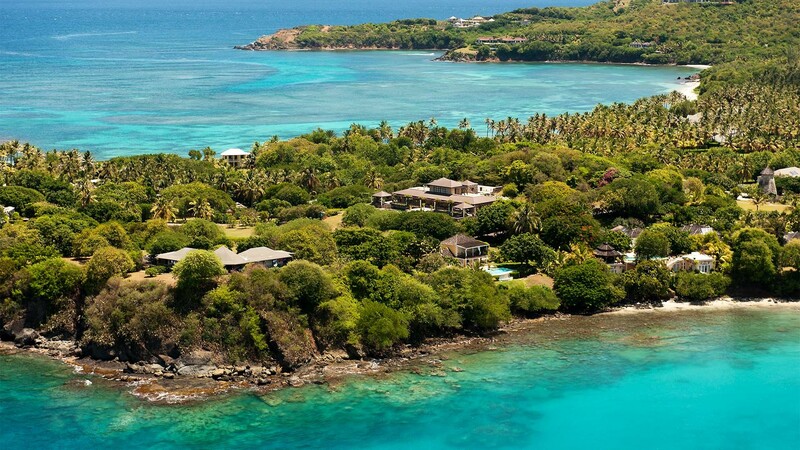 “Mustique was an invention, like Treasure Island,” he said. 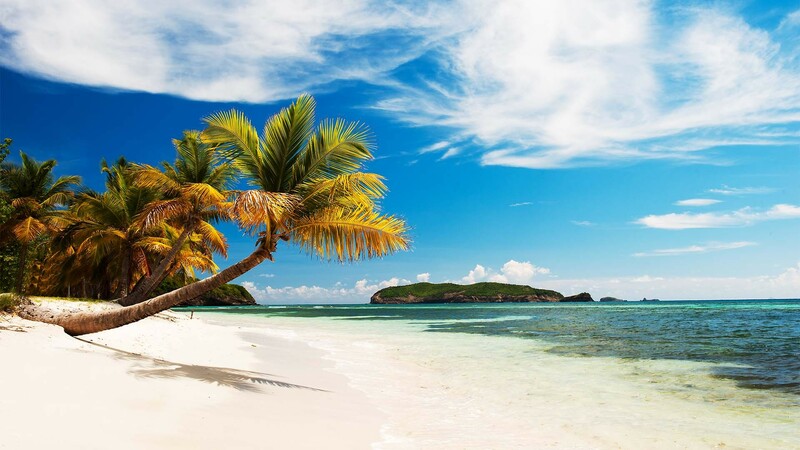 Indeed, he planted all the coconut palms himself – when he arrived there were none and now there are thousands. Tennant didn’t do all this single handed: his core team included Hugo Money-Coutts as manager, stage designer-turned-architect Oliver Messel, and builders Anita and Arne Hasselqvist. They left Tennant to do what he did best – entertain. It became renowned as a party island; an early visitor recalled, “there was always lots of gin and not much tonic”. 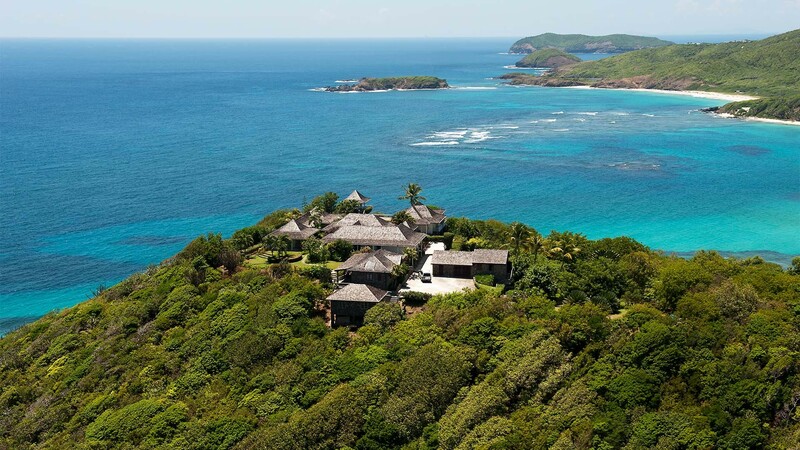 By the 1970s, Mustique’s hospitality had become legendary. Mick Jagger had read that tea was served on the beach by waiters in white gloves. He approved. He came over in 1973 and liked it so much he bought the only place currently available – a two-bed caretaker’s cottage. 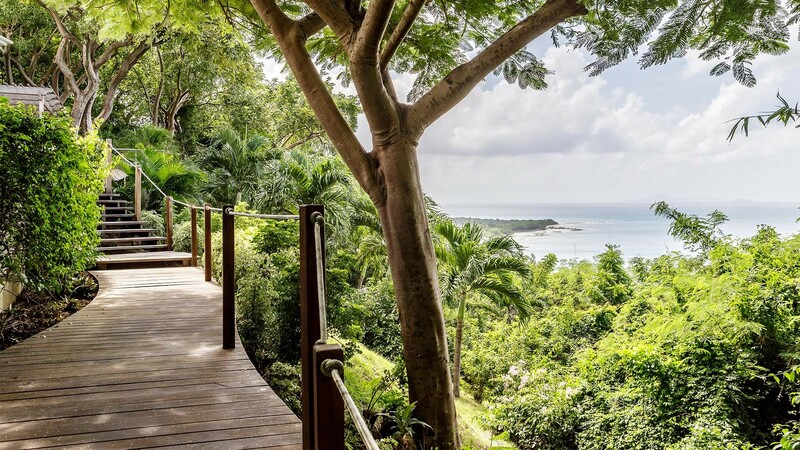 He’s owned property on the island ever since – and his aptly named Stargroves, at six bedrooms, is a rather more sprawling affair than his first island digs. David Bowie joined the roster later in the 1970s. Queen Elizabeth visited in 1977 as part of her silver jubilee voyage. In the 1980s, Patrick Lichfield bought a place. Tommy Hilfiger joined in the 1990s. When Prince Andrew was in residence, Tennant parked a bulldozer across the airstrip to stop a plane load of paparazzi from landing. 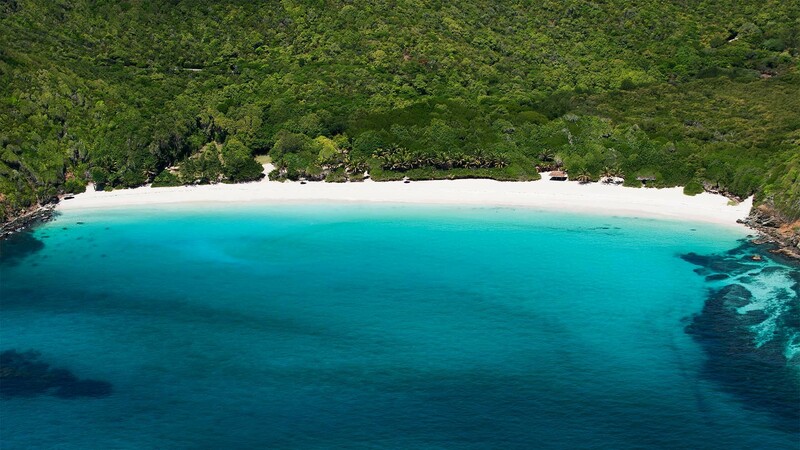 It has – and remains – a haven for the fabulous and the fabulously wealthy. And for one week in June, me and my family. Although the landing is hairy, it doesn’t take long to recover. You’re greeted from the plane by a member of your household staff – armed with a tray of cool towels. There are no cars on the island; instead, Kawasaki Mules (essentially four-wheel drive golf buggies). 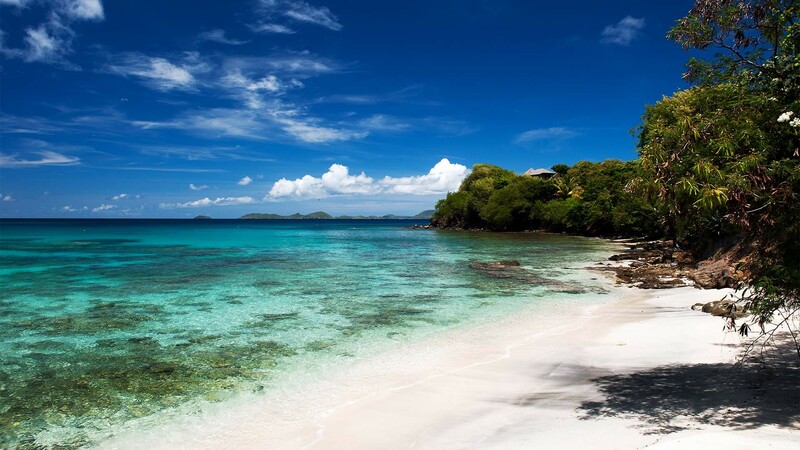 Mustique is one of the smallest inhabitable islands in the Caribbean – only 1.5 miles across and three miles long. So whichever property you’re staying in you’ll be there in a matter of minutes. 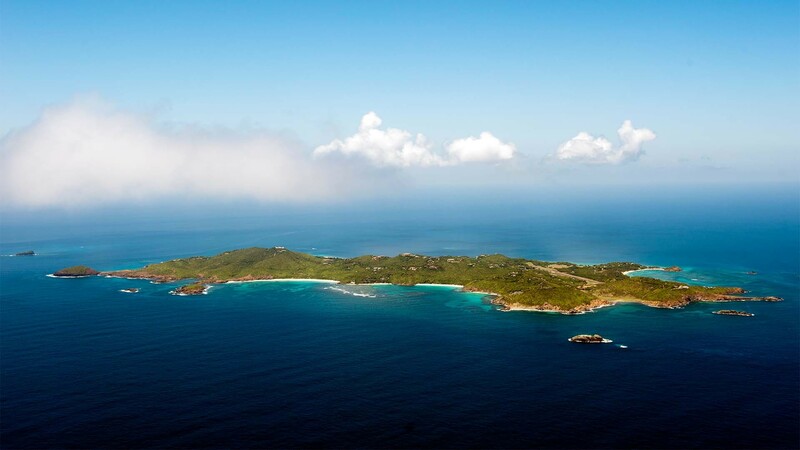 And as there are only 120 properties on the island, you’re one of a privileged few. We stayed at Greystone Cottage. 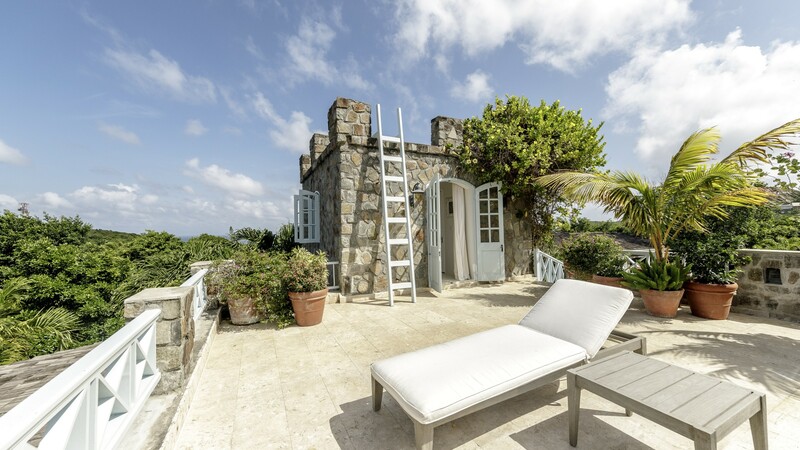 With three bedrooms, it’s one of the smaller properties on Mustique, but all things are relative. 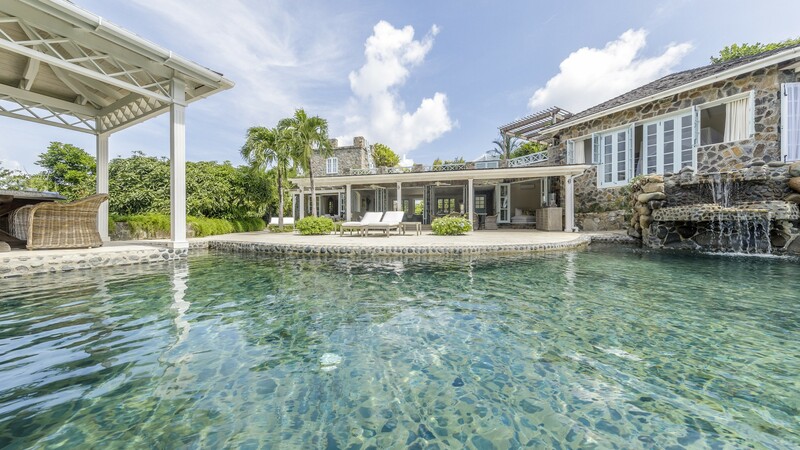 You arrive from a steep private driveway that opens up to a broad courtyard. 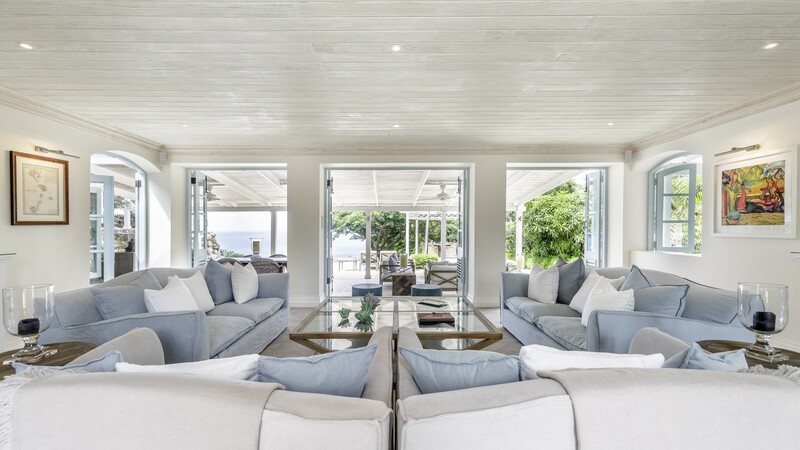 In the centre is a light-blue door that opens straight into a giant living room. 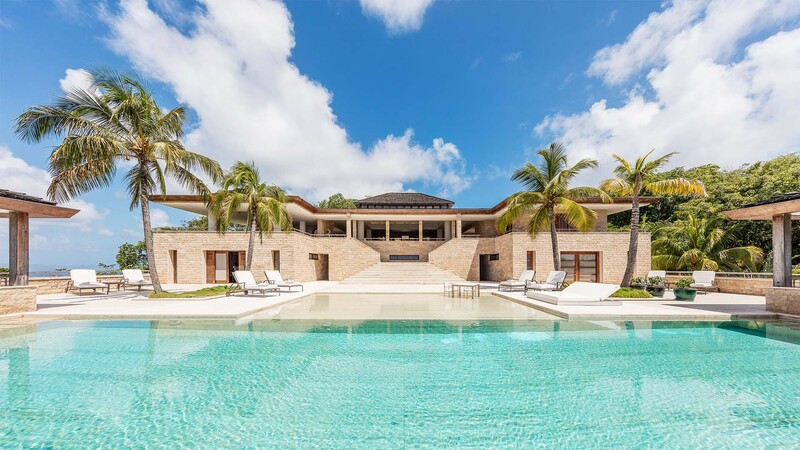 Beyond large sumptuous sofas and whitewashed parquet floors, three sets of French doors frame an open stone terrace and split-level infinity pool – your own private Eden. 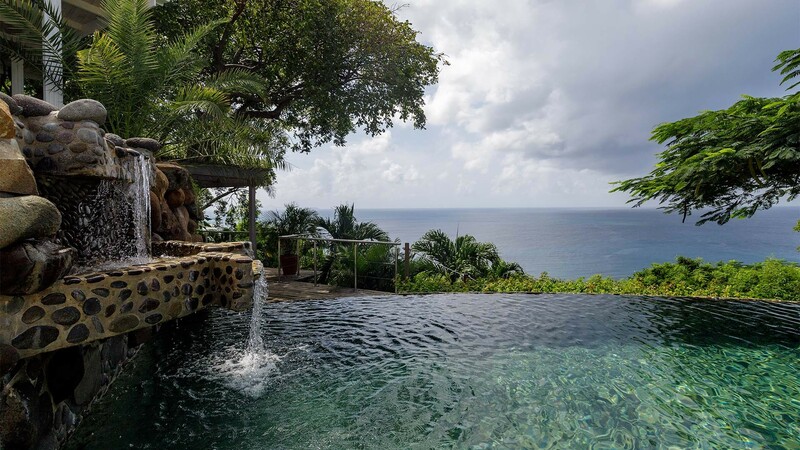 A plunge pool at the top feeds the main pool via a brace of waterfalls. 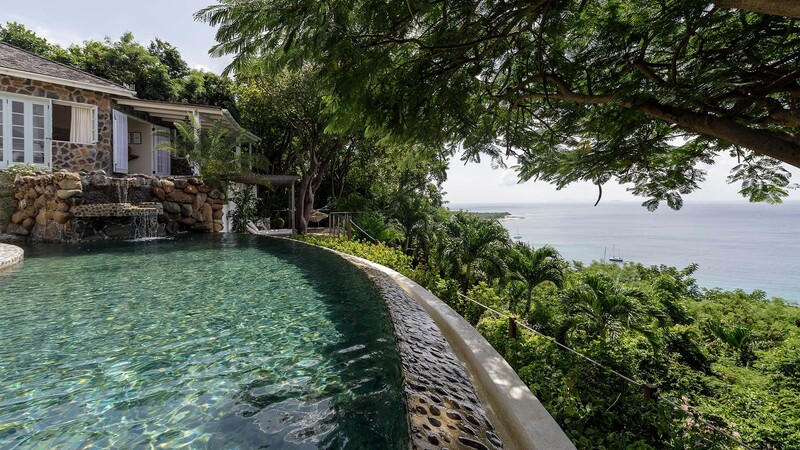 Both overlook the Caribbean beyond, several hundred feet below. 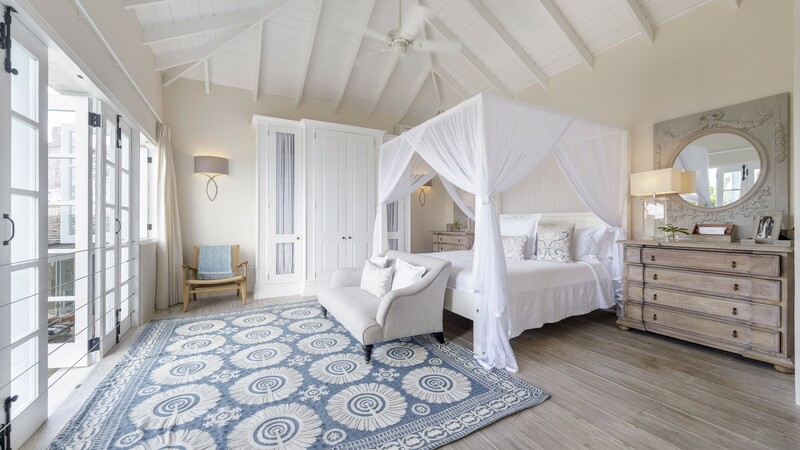 It is the heart of the property, the bedrooms satellites around it, as well as an entertainment room and a cabana perched perfectly for sunset dinners. 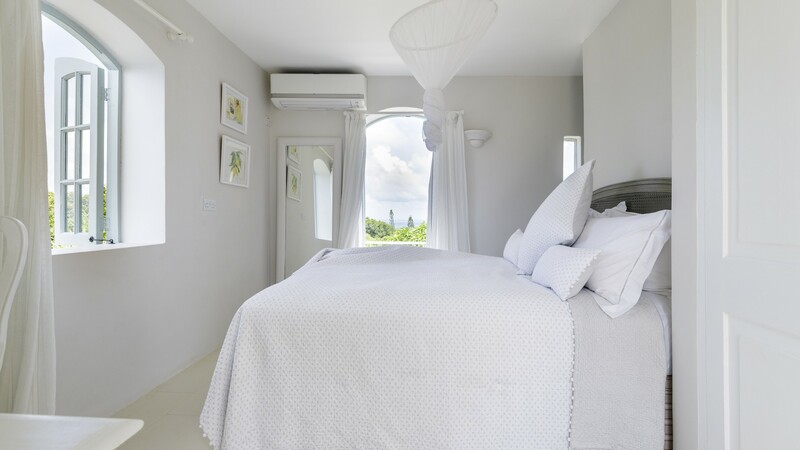 To help support the local community – and make your stay as VIP as possible – every home comes with staff. In Greystone’s case, you have Joline the housekeeper, Ken the chef, and Uri the butler-come-groundskeeper. Uri has given 26 years of service to the island. 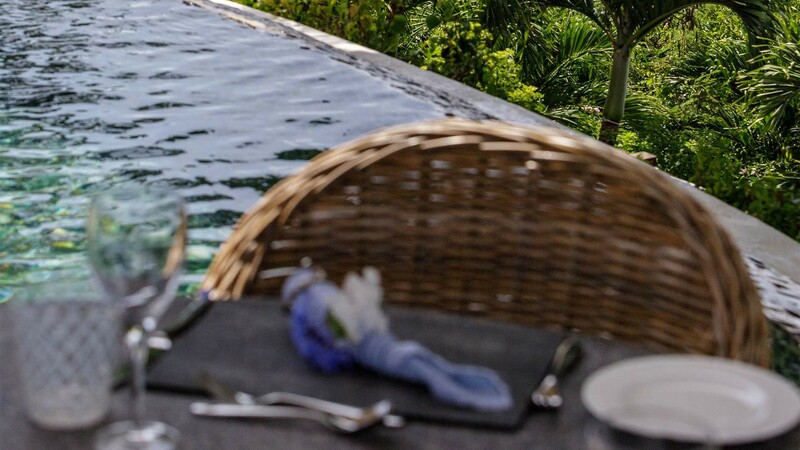 He artistically folds the linen napkins into ever more imaginative shapes before each meal and creates bespoke floral displays for every dinner using flowers from the extensive tropical gardens – which he personally tends. 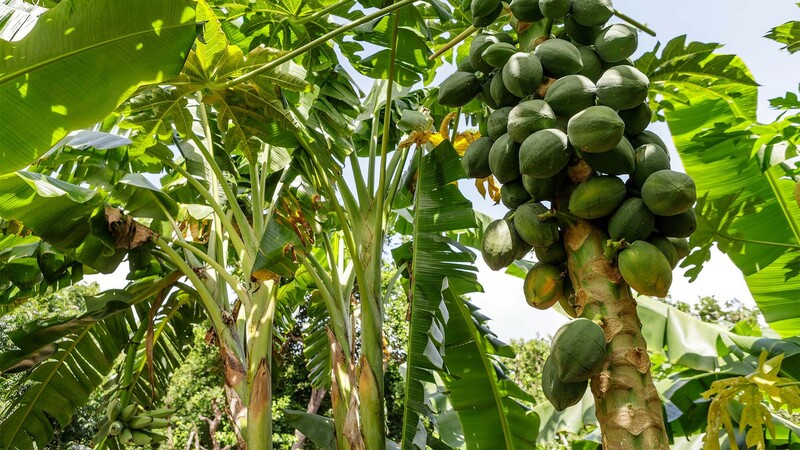 There are papaya trees and mango trees, tomato and soursop. Many of these ingredients make it into chef Ken’s excellent cooking – including his tropical salsa served with fresh mahi mahi caught from the bay below. 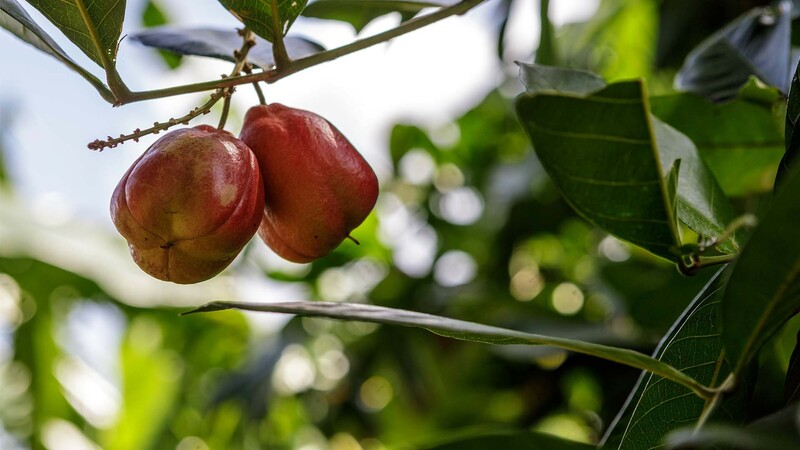 The menu is catered to your every whim, but leave it to Ken, and you’ll get some genuine Caribbean cooking that will make your mouth water and your waistline bulge. Joline is a walking smile – and busies herself to ensure you don’t have to. None of this subservience is overwhelming, though – the staff are only with you when you want them to be: namely, breakfast, lunch and dinner. 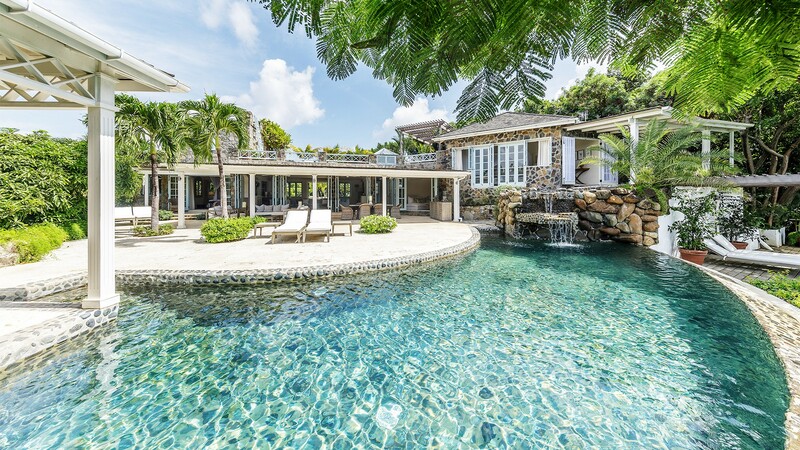 The rest of the time the home is yours. And it’s very easy to feel at home. 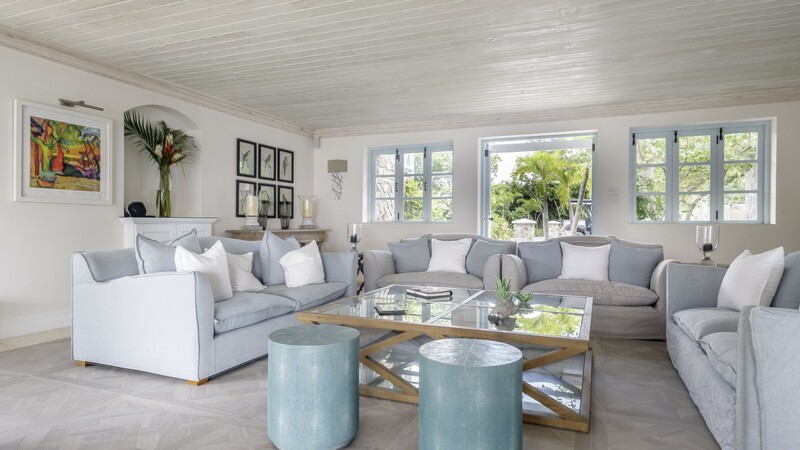 Greystone is owned by a British couple, and there are subtle cues throughout: leather coasters from William & Son; linen from The White Company; cutlery from Robert Welch; and even a painting by one of the house’s British guests – Pierce Brosnan. 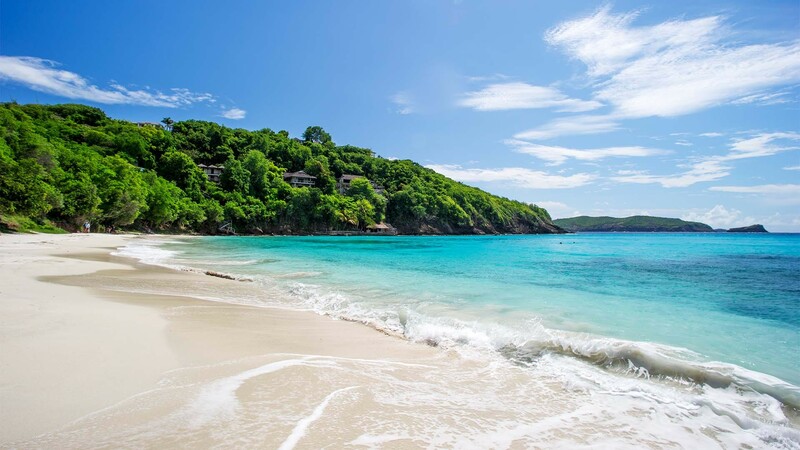 As tempting as it is just to stay at the cottage, you have to make time for one of the handful of beaches open to the public. 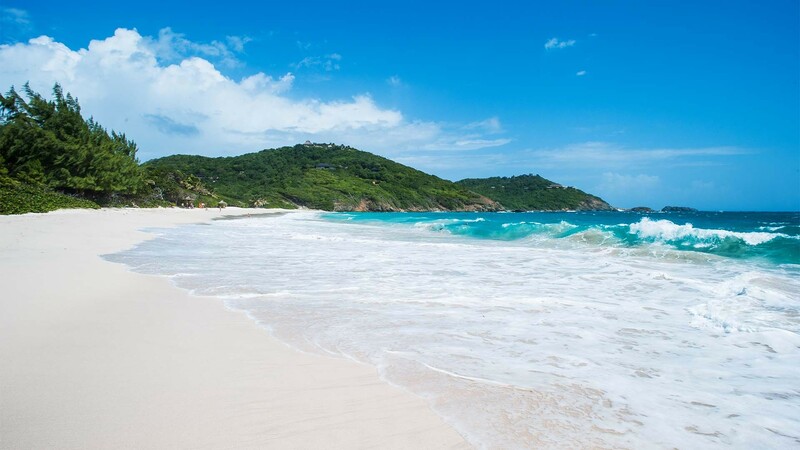 As there are so few people on the island, the chances are you’ll have the entire beach to yourself. 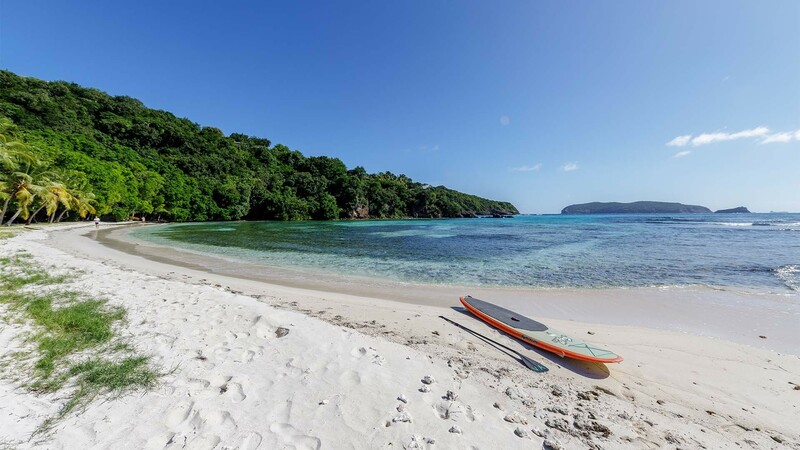 Normally to find something so isolated in the Caribbean – or any destination for that matter – you’d need to hire a boat to root out a suitably deserted bay. Here you just have to hop into your Mule and you’ll be there in five minutes from your front door. One of the island’s traditions is a barbecue picnic. 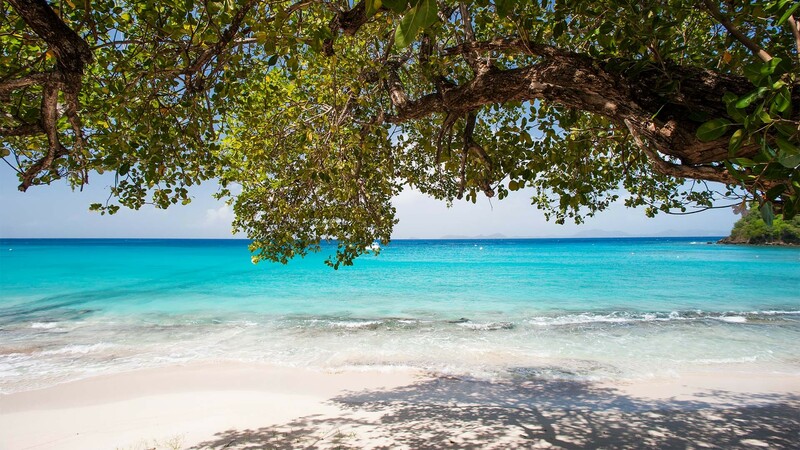 Behind you is a mangrove-fringed lagoon; 50 yards across a sandy spit and you have the Caribbean sea. Beneath the shade of palm trees, there are a number of picnic tables. 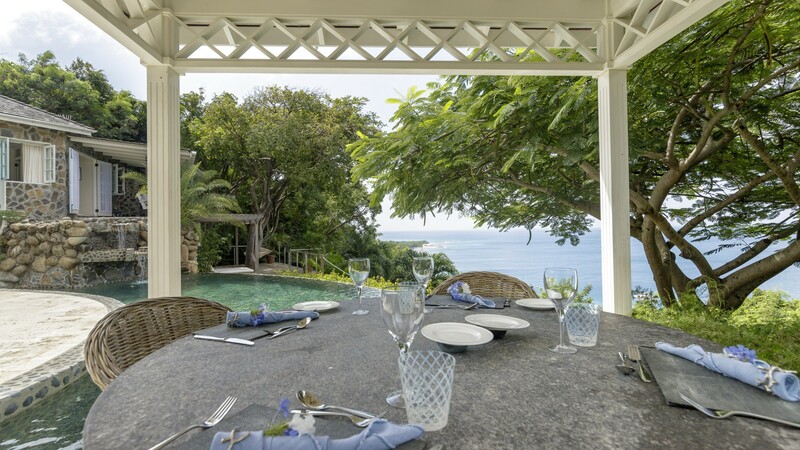 Here your household staff will create an alfresco lunch you’ll never forget – the charcoal aroma of grilled fish on one side, the salty sea lapping at your feet on the other. In the evening, you have to head to the Cotton House at least once. 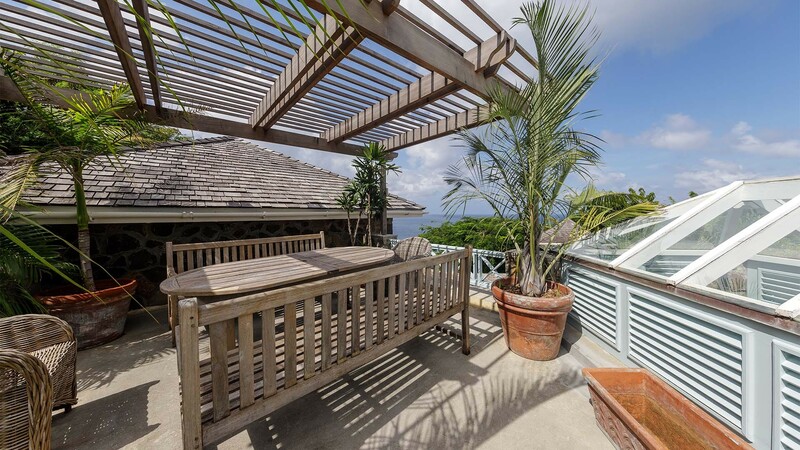 This was the first property on the island, from where Tennant ran operations. 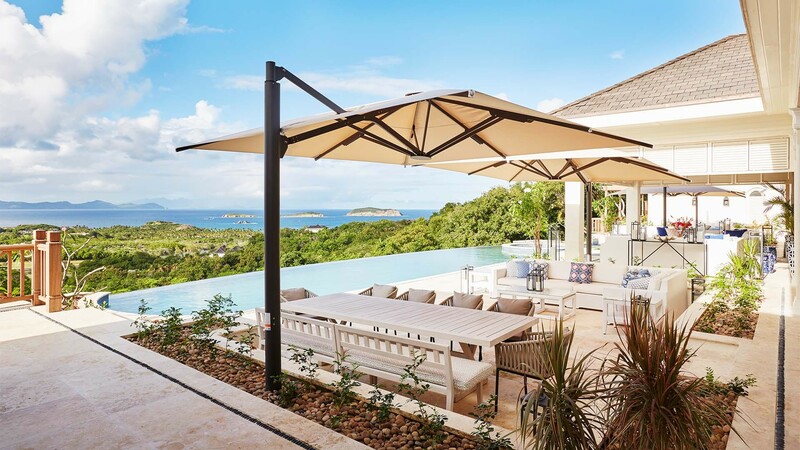 It has become a boutique hotel (one of only two on the island), that hosts a cocktail party every Tuesday evening. 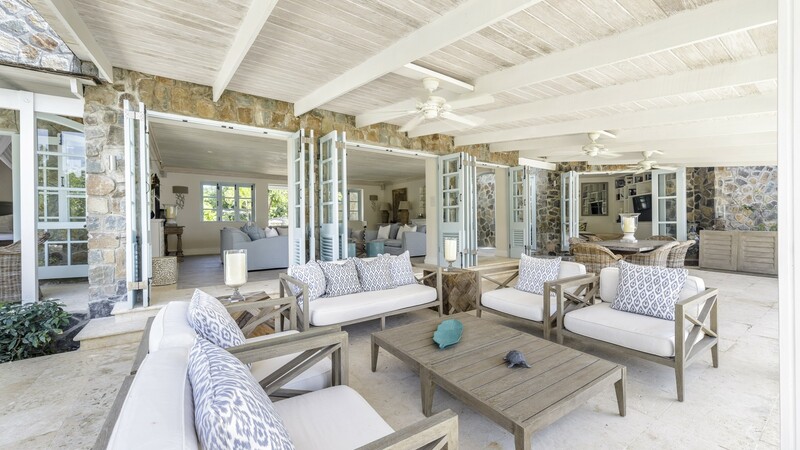 The whole island – all of its residents, including you and your guests – are invited to join compliments of the Mustique company. Order any drink you like at the colonial bar – it’s all very Gatsby. Numbers range from 50 to 500, and the people you’ll meet are bound to be as fascinating as they are wealthy. We headed to dinner afterwards, where we were sat next to Kate Moss and her family. 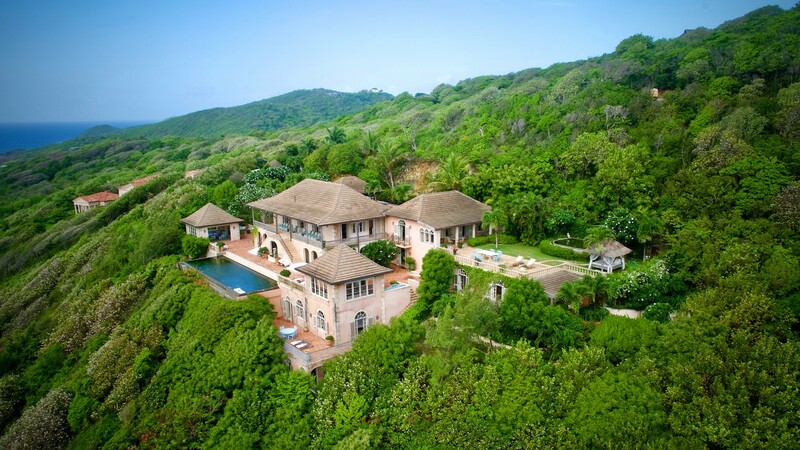 Because that’s just what happens on Mustique. But you don’t need to be famous to enjoy it here. The staff, the surroundings, the set-up – it’s all designed to make you feel like a rock star. All you have to do is eat, drink and be merry. After all, it’s what Lord Glenconner would have wanted. 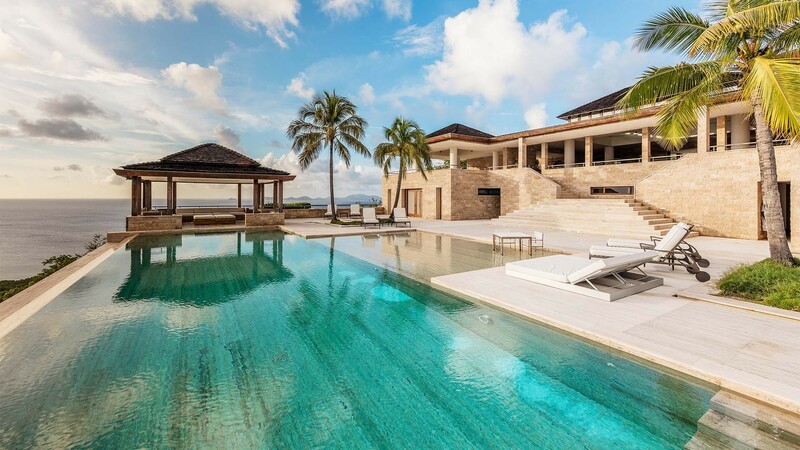 This monolithic home is the embodiment of ‘new’ Mustique. 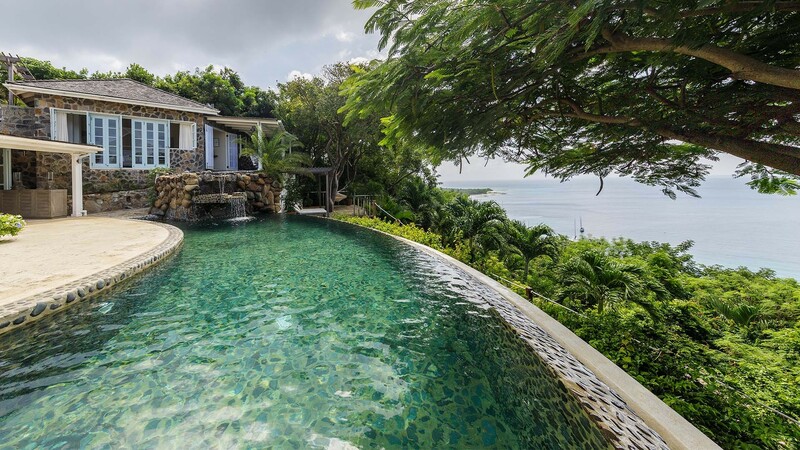 The ultra-modern villa was only completed five years ago and features a 61ft infinity pool with wading pool overlooking the South Grenadines. 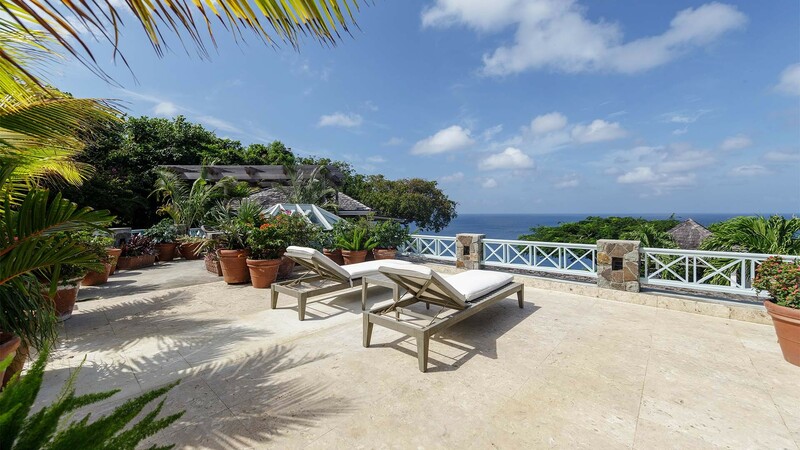 The six-bed property is set over eight acres of sloping hillside. If you really fall in love with it, it’s also for sale. 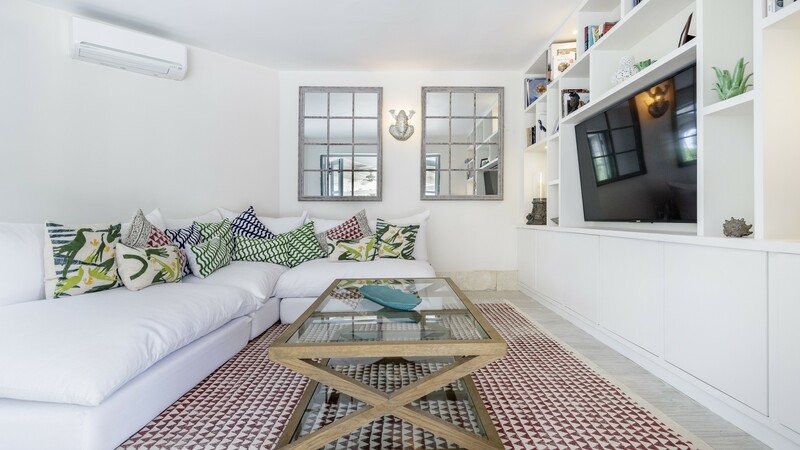 When it comes to home design, the cofounder of Finchatton knows a thing or two. 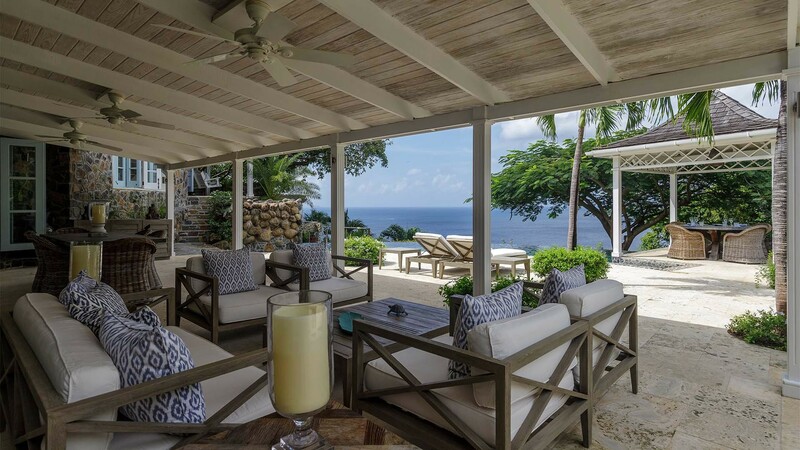 Indeed, the five-bed Antilles – built by the London luxury interior design company – is simply impeccable. 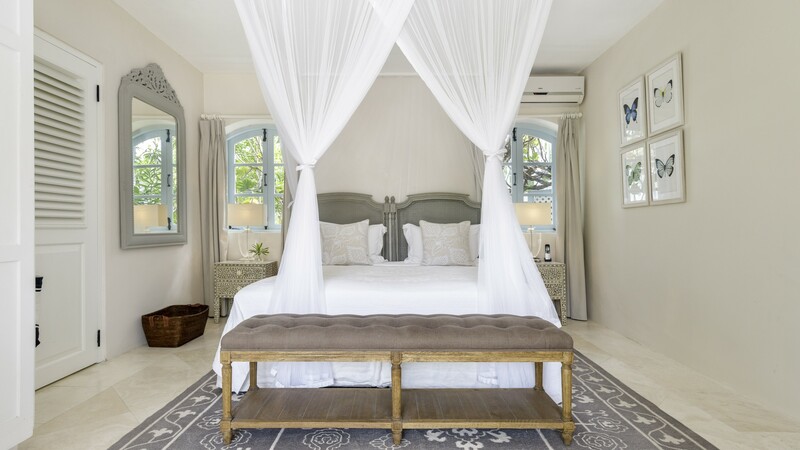 A mix of contemporary and colonial, it has a spa-like quality. 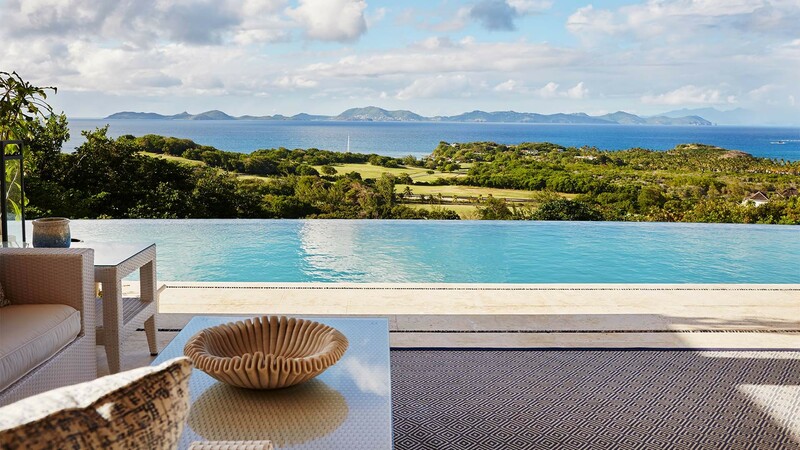 The infinity pool overlooks Bequia and St Vincent beyond. This five-bedroom Tuscan-style villa is a regular favourite of Kate and Wills. It’s owned by the cofounder of the British clothing chain Jigsaw (Kate was an accessories buyer there before becoming a princess). 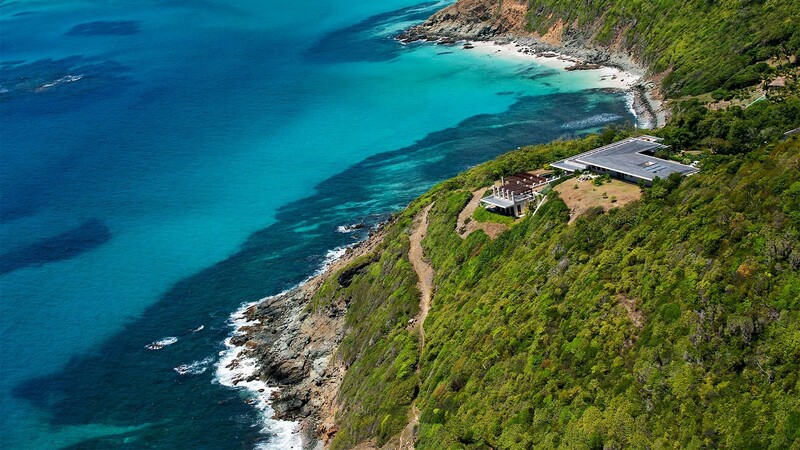 The sprawling six-bed home overlooks the famous white sands of Macaroni Bay.